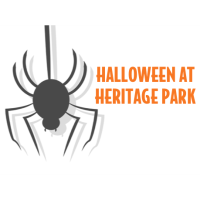 Halloween at Heritage Park presented by Ray Thompson's Upstate Karate is a community event brought to you by the Simpsonville Area Chamber of Commerce and the Simpsonville Recreation Department. Local groups and organizations gather to provide a Happy Halloween! 12:30 The field activities open including: free inflatables, the fire safety house, games with our community groups, and vendors with children's toys, books and more ***note that while the activities are free, items from the vendors are not. 7:30 Trick-or-Treat Trail wraps up. Hope everyone has a Happy Halloween!